I am writing in response to your ‘Extraordinary Year’ email, which you sent to NYC DOE staff on June 26, 2013. In the spirit of diversity, I wish to share with you my year end reflections, which differ from yours. In my view, there appears to be a disconnect between your office and working teachers; thus, my intention is to help bridge this gap. I prefer to describe the 2012-2013 school year as crushing. This spring, for example, I felt the heavy weight of your initiatives while commuting to and from school. Staring at me from the subway walls were NYC DOE advertisements promoting your Common Core curriculum. They claim – in both Spanish and English – “We’re not satisfied just teaching your children basic skills. We want them prepared for college and a career.” In my seven years of teaching English-language learners (ELLs) at the same Title I public elementary school in Brooklyn, I have never just taught basic skills. Frankly, I find these ads insulting to the large number of NYC teachers I know who have long held high standards and expectations for their students. During my first year of teaching (pre-Common Core) my second grade ELLs, inspired by the realistic fiction book City Green by DyAnne DiSalvo-Ryan, wrote letters to Brooklyn Borough President Marty Markowitz persuading him to allow us to convert a local vacant lot into a community garden. The lesson was meaningful on different levels; it made connections to content and to real life, and my students acquired high level academic vocabulary. They were also expected to use reasons and evidence to defend their arguments. In your June 26, 2013 email to us you stated that students are “getting used to supporting their ideas with evidence.” This is not a new skill for our students, nor is it unique to the Common Core curriculum. I raise this point for two reasons. First, I’m concerned that your message, which implies that pre-Common Core teaching needs to be fixed, is misleading the public. Similarly, as our schools experience budget cuts, I question the large sum of money being spent on the Common Core package – advertising, testing and curriculum – when, in my opinion, our current instruction differs only slightly from what many of us have long been doing. The biggest change to instruction that I have seen concerns standardized testing. The new Common Core state tests have left me despairing of the future of public education in both NYC and throughout the country. First, this year’s testing resulted in a significant loss of precious classroom time that instead could have been used for meaningful, targeted instruction. I proctored the math and ELA exams to a group of former ELLs in fifth grade. Not only did they sit for a total of 13.5 hours to complete these lengthy exams, but leading up to the six days of high-stakes testing were countless hours of educationally unsound test prep. Four Acuity Benchmark assessments (two in each subject area) also preceded April’s exams. After the ELA and math tests, I proceeded to administer the four-part NYSESLAT to our ELLs. Nearly 1.5 months were devoted to the administration and scoring of the exam as well as to related administrative duties such as bubbling grids, transcribing scores and answers onto grids for the speaking part and for ELLs in K-2, and packing up the testing materials by following a complex set of directions. During the 2013 oppressive testing season, our ELLs were deprived of their mandated services. When a co-teacher remarked to me one day that her kids stopped asking her when I’d be back in their classroom (I am a push-in ESL teacher), I knew I had to speak up and vocalize my doubts concerning the value of these tests. Continuing on this road of high-stakes testing and excessive accountability is unsustainable. My concerns are far-reaching, and this letter has just begun to address them all. Therefore, I would greatly appreciate an opportunity to dialogue with you in person at your convenience. In all areas of life, I believe that we must be honest with ourselves and with one another for real growth and improvement to occur. I am reachable via email at: katielapham1@gmail.com. I look forward to hearing from you soon. It was disheartening to read your remarks about the Common Core that you made at the American Society of News Editors Annual Convention on June 25, 2013. I am an ESL teacher at a Title I public elementary school in Brooklyn, NY and wish to share with you some of my reactions. What is true and clear to me as a working teacher is that the Common Core State Standards (CCSS) do not stand alone. They are not just a set of standards as you claim they are. 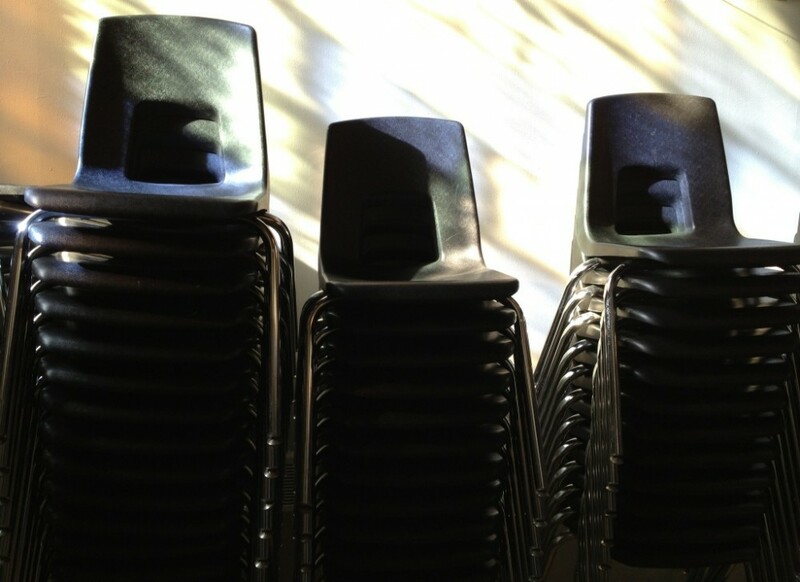 In New York, they are attached to an educationally unsound, high-stakes testing program. Have you seen the tests? I am not at liberty to discuss the content, however I do wish to share with you an excerpt from a letter I wrote to Dr. John King – with a copy to you – after the administration of the ELA Common Core test in April. Here’s what I wrote: I administered the grade 5 Common Core English Language Arts (ELA) test to a group of 10-year-old former English Language Learners (ELLs). Over the course of three consecutive days, they were asked to answer a total of 63 multiple-choice questions on two different answer grids, and eight short-response questions and two extended-response questions in two different booklets. In order to do this, they had to first carefully read and re-read a large number of reading passages. Most of the grade 5 students throughout New York State received 90 minutes each day (a total of four and a half hours) to complete the tests. As former ELLs, the students I tested received an additional 45 minutes of testing time each day. Thus, they sat in a testing environment for a total of six hours and 45 minutes. If they had not received extended time, most of the students would not have finished any of the exams at the conclusion of the standard allotted time of 90 minutes. While I was impressed by the students’ stamina, resilience and overall positive attitude, by the end of day two their test fatigue and frustration were visible. This week, they will receive the same amount of time as the state administers to them the 2013 Common Core Mathematics test. By the end of Friday, April 26, this group of former ELLs – fifth graders – will have tested for a whopping total of 13.5 hours. I ask you to picture your own children – even your 10-year-old self – sitting for that long to complete such lengthy standardized tests. I have a three-year-old daughter and my stomach tightens at the thought of her being subjected to such excessive testing. This brings me to my next point. The 2013 Common Core ELA and Math tests come at the culmination of months-long test preparation in our public schools that include four Acuity Benchmark Assessments (two for each subject area) and countless hours of teacher-created test prep practice. This egregious amount of classroom time devoted to standardized tests is robbing our students of their right to a meaningful education. Common Core test prep (teaching to the test) and standardized tests – which together consume a great deal of the school year – do not foster creativity and innovation. Have you visited any New York City public schools recently? The NYC Department of Education has selected and recommends new math and ELA Core Curriculum options for grades K through 8 that are aligned to the CCSS. While terms such as ‘options’ and ‘recommended’ are used by the NYC DOE in promoting their CCSS curriculum, schools feel pressured to adopt them, and as an incentive, the options are being subsidized by the NYC DOE (a comparison could arguably be made to Race to the Top money being contingent upon a state’s adoption of the Common Core). These options bother me because the so-called flexibility of the CCSS that was promised to us is compromised. Contrary to your speech, I do not feel free to educate “creatively and innovatively” in terms of math and ELA instruction. Remember, a huge chunk of class time is devoted to CCSS state tests and now we feel compelled to use the NYC DOE’s CCSS Core Curriculum. I wish to note that two of the NYC Core Curriculum options – ReadyGen for ELA and Connected Math Program 3 – are published by Pearson, the publishing giant that creates New York State’s ELA and math assessments as well as the Next Generation Assessments. ReadyGen is not yet ready, and New York City schools that have signed onto the program are expected to start using it in September. While the NYC DOE is offering summer professional development on these new CCSS programs, schools cannot afford to send even half of their staff to the trainings. Also, NYC schools have already begun using NYC DOE Common Core performance tasks. Some are developmentally inappropriate and frustrate both teachers and students. For example, kindergarteners who don’t yet know all their letters and sounds are expected to write multiple drafts of a persuasive essay, and an 8-page multiple choice assessment is administered to them in October. It is appalling to me how much money is being spent – wasted – on yet another ‘solution’ to closing the achievement gap. At a time of deep budget cuts – my school is having to excess teachers – it is unconscionable that financing the CCSS assessments and the CCSS curriculum, the latter of which, to me, is essentially a re-wording and re-packaging of what many of us already do, are prioritized over what I believe could be much more effective ways to raise student achievement: smaller class sizes, collaborative team teaching, especially in kindergarten, and more small group and one-on-one instruction. In other words, invest in teachers instead. In your speech, you don’t mention parent responsibility as a contributing factor to the achievement gap. This, to me, is where we should begin in raising student performance, and I don’t believe it’s a novel idea. In 1935, Gandhi said, “There is no school equal to a decent home and no teachers equal to honest, virtuous parents.” I commend you for prioritizing early childhood education for all, but without continued parental support and involvement students, particularly those living in poverty, are much more at risk for academic failure. How will the CCSS help my student who missed 50 days of school in first grade and lags behind his classmates? How will the CCSS benefit my non-reading second grader whose mom ignores our persistent requests to get her daughter evaluated? Even with the best teachers, this child will slip through the cracks if she remains in a mainstream class with 25 -30 students. Your speech indicates to me that you are not fully aware of the realities of our public schools. The impression I get is that you’ve primarily made only pre-arranged visits to model schools that boast high test scores. Please correct me if I am mistaken. For a more accurate picture, I suggest the following. Without consulting your advisors, pick a Common Core public school (in New York, for example) at random and make an unannounced visit. See firsthand – without all the fanfare of a pre-scheduled visit – how the CCSS package – and it indisputably is a package – is impacting our students, teachers and administrators. In fact, you are welcome to observe me at any time. I also suggest that meeting with a wide range of working teachers should be your priority. Again, for the most accurate results, select the teachers at random. Teachers know better than anyone else what students really need. If you make the teachers feel comfortable, safe and valued, it is more likely that they will speak candidly with you.